Following two decades of economic decline and four long years of war, how do Ukrainians feel about independence? 26 years. 26 long troublesome years of independence for Ukraine. These years have been fraught with strife. Following the declaration of Ukrainian independence and the fall of the Soviet Union in 1991, the Ukrainian economy crashed dramatically. Between 1990 and 1999 the country’s GDP dropped by a whopping 60 percent. By the early 2000s however, the economy had started to stabilise. This was in part due to the introduction of a new currency, the Hryvnia which replaced the hyperinflated Ukrainian Karbovanets in 1996 (at a rate of 1 hryvnia = 100,000 Karbovanets) which in turn had replaced the Soviet Rouble in 1992. 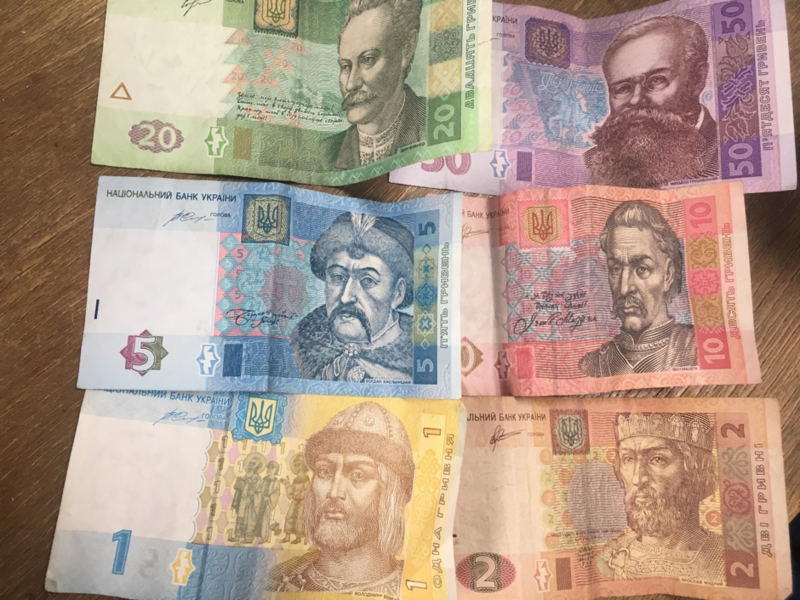 Unlike the Karbovanets which failed to save the economy, the hryvnia managed to somewhat succeed and became a symbol of Ukrainian independence. But was it worth it? Just how important is Ukraine’s independence to the proud nation’s people? Historically, Ukraine has gone through many independence movements. From its very inception as a nation, Ukraine’s lands have been highly coveted by other European powers. Though the country would repeatedly revolt against its oppressors, ultimately it has spent most of its existence under the thumb of imperialist overlords. Potentially, the most relevant to the current situation in Ukraine is its years under the rule of the Russian Empire. From the 18th century, Ukraine’s lands and people became more incorporated into the Russian Empire. This lead to mass migration into the area and the settlement of more lands, particularly the area surrounding the Black Sea known as Novorossiya, literally “New Russia”. These new lands became focal points for Russia, in particular the city of Odessa and the Donbas region in the East. Further intertwining of Ukraine and Russia lead to Ukraine being referred to as Malorossia (“little Russia”). This term was phased out of general use after the collapse of the Russian Empire as Ukraine became an independent nation under the Soviet Union, however it was and still is used as a derogatory term towards Ukrainians. Importantly, this lead to a diplomatic incident last year when the self-proclaimed independent Donetsk People’s Republic declared the creation of a new state of Malorossia which was promptly condemned and ignored. How has the war in Donbas changed the situation? Whilst on the topic, it’s probably a good idea that we talk about the current situation in Ukraine and the war in Donbas and how that relates to independence. At war with two separatist states (the people’s republics of Donetsk and Luhansk) and Russia since 2014, one would assume that Ukrainian nationalism and xenophobia would be at an all-time high. However, this isn’t exactly the case. According to a poll by the Kiev international institute of Sociology in 2016 67 percent of Ukrainians hold positive attitudes towards the people of Russia. With that being said only 8 percent supported what the Russian government is doing and by 2017 this number had dropped to 4 percent. So, whilst the war has put definitive tensions on the relationship between the two countries, the Ukrainians at least do not seem xenophobic against the Russian people. The war in Donbas continues to this day primarily because Ukraine does not want to cede what it views as its rightful territory and wants to prevent further Russian encroachment on its independence. Over 10,000 people have died in this conflict and almost two million Ukrainians have either been internally displaced or forced to flee abroad. Though the conflict hasn’t become a full-scale war both sides refuse to back down causing strife for all involved. The war has also crashed the Ukrainian economy with the hryvnia losing 70 percent of its value since 2014. Is Independence still worth all this strife? Regardless, Ukraine still stands strong. Walking the streets of Kiev and Odessa this much is apparent. Ukrainian flags line the streets, traditional Ukrainian businesses dot the corners and monuments to Ukraine’s history and strength as a nation are visible in every direction. “Even the national anthem represents Ukrainian independence and Pride” explained Tetyana Yeshchenko, sub-chief of the department of Ukrainian studies at the Lviv national medical University. The national anthem which translates in English to “The glory and the freedom of Ukraine has not yet died” is often used by Ukrainians as a way of showing their stance and was particularly used during the Ukrainian revolution of 2014 (Euromaidan). “It is important to Ukrainians to celebrate being Ukrainian” Yeshchenko states. Though the Russians want to control Ukraine, they aren’t the only ones with interest in the area. On the other side, both geographically and literally is the European Union, who also has an interest in adding Ukraine to its ranks. Existing on the edge of these two superpowers, Ukraine is often torn apart by conflicting interests. When it comes to which one they prefer, the answer (for the most part) is the European Union which I examined in my previous article on the situation in Ukraine. When it comes to encroaching on Ukraine’s independence, it’s both a matter of the EU having more to offer whilst also allowing for more autonomy to Ukraine. Other than unrestricted access both to and from the EU under a visa-free program (merely requiring Ukrainian citizens to be using the newest biometric passports), the EU also offers financial aid to Ukraine. During the period 2015-2018 Ukraine has received over €1.2 billion. Though Ukraine has a long road ahead to EU membership, it remains one of the government’s top priorities. In sum, whether or not true Ukrainian independence will remain is uncertain at the moment. Whether it’s taken away by Russia’s expansionism or the European Union’s promises of a better life, Ukrainian independence is at stake right now. Whether being independent really matters is also up for you to decide but one thing remains clear. Ukraine’s culture and traditions will continue regardless.